Over 25 years of proven success has made The Sales Coaching Institute a benchmark in professional sales training and sales management training solutions. 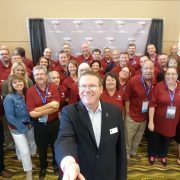 Our process is designed to get to the heart of what your organization needs, and to develop custom solutions grounded in The Sales Coaching Institute training techniques. Before we start the sales training program, we help diagnose the underlying problems via phone calls, emails and personal visits just as a psychologist would diagnose a patient. We then provide you with the tools and knowledge to implement a new integrated strategy. We offer customers a sense of comfort, authenticity as well as credibility during our sales training process. Our sales training and coaching processes always include attentive and diligent research to prepare for each and every one of our sales training programs. We have the tools and resources to help increase any sector of your sales force or to improve the productivity of your entire sales force. The Sales Coaching Institute prides itself on offering the most robust sales training and coaching programs. We explore key areas of your organization and your sales process that impact your ROI and your sales force. By customizing our sales training programs for you, your sales management team can quickly learn and master the most critical information to pass down to the underlying sales force. It is our goal to make your team extremely customer oriented through a defined process. We understand that your managers are the driving force behind your business; we help them readjust and hone the sales training skills that have gotten them this far to fit your specific sales force more comfortably. Doug Dvorak, the CEO & founder of The Sales Coaching Institute has been the sales coach Chicago has counted on for over a decade, training members of some of the most elite sales forces in business. 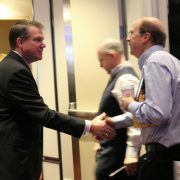 Doug tailors his programs for small, medium and large fortune 500 businesses alike. 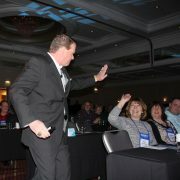 He specializes in working with groups of sales teams to create the ultimate sales team training experience. The Sales Coaching Institute provides training for sales team members that will resonate and hit home for each individual. We make sure that there are no “weak links” by the end of our sales training programs. Our training for sales teams is clear, concise and targeted, this allows your sales force to get the most out of each and every training opportunity. Our programs, workshops, and keynotes are delivered in a personable and approachable way so that when there is a need or a misunderstanding the underlying sales force does not hesitate to ask for help. A special type of person and/or group is needed to properly train a sales team. We are willing to do all of the research and help you go the distance to turn your team into a sales force to be reckoned with. We engage, train, motivate, educate, apply, and re-educate. Empower your sales force with the tools and motivation that they need to become power sellers. Our sales presentation training can accelerate your sales force on the right track. Our process covers everything from who, what, when, where and most importantly, HOW TO SELL. Our tailored sales management training programs teach the managers of a sales force how and more importantly, why it is so important to be a coach, rather than a teacher. When you were in high school who did you look up to more? Your coach or your teacher? Who did you want to go learn more from? The coach! Be a coach, lead by example and training a sales team will become second nature. Working with the best sales training group in Chicago and the United States will ensure your sales team members are turned into power sellers.